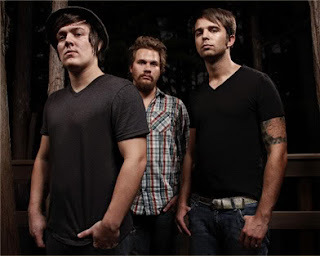 In 2003, The Status was originally called, Nova led by Ben Grant (Lead vocals/guitarist) with Mike Felker on drums, and Danny Grant (Ben’s brother) on bass. They played in a bunch of local venues early on before changing their name. As their popularity grew, they changed their name to The Status in 2006 after their growing popularity with the song, “Perfect Day”. 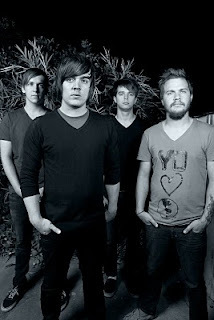 In 2007, The Status went on tour with Bayside, and this is how they earned their mark as one of the top unsigned bands of the year. 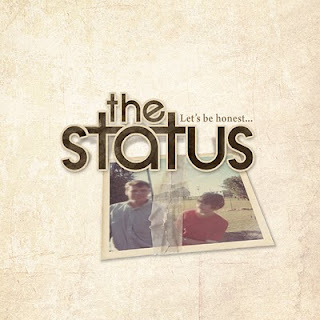 Today, The Status just released a new EP entitled Let’s be Honest, their sophomore album to the 2008 hit, So this is Progress. Let’s be Honest is a continuation of So this is Progress and is filled with the same light hearted catchy tunes that uplift and gratify the soul with songs of love, heartache, and taking chances. As Ben put it, this EP is merely a preview of what’s to come. Did you enjoy your winter vacation? What did you guys do? Very much so, we spent it home with our family and friends after some extensive touring in 2009. We also wrote and demoed about 20 new songs for the band as well. Did you do anything on New Years Eve? This year we all just laid low, nothing too crazy for us, just time with family and friends! So, you’re from Atlanta, right? For those who don’t know about you guys, how did you and the band meet? We've all been friends for quite a while and had been in other bands in the area, I think when we started the status we were a little older at that point and had a clear objective and everyone involved was on the same page, so that's how we decided to come together. You formed in 2003 and it took three years to create your first EP. Was it hard at first or has it always been hard being in this kind of industry? I think the reason it took so long for us to come out with our first EP was just bad luck more than anything. We actually began recording projects before that just never were able to be finished for one reason or another. Also, in the very beginning we didnt even play shows, we just spent time writing and demoing constantly. However, it is and was hard getting our foot in any kind of door, especially with the shape of the industry now, it's a big maze full of bands that will harder than you if you don't take that initiative and just stay busy however you can. Now that you’re with a well established record label, has it taken off some from the pressure of managing your band? Yes, Doghouse has been a great help to us, we still work hard as ever on our own, but they are there to assist us in however we ask or need. Also it's great to have people that have been in the industry a lot longer than you that can share ideas, and let us know what's worked before so we have a better idea when coming up with new ideas. What were some of the pressures of being an unsigned band? Just of trying to get to that next level, trying to find someone that could help you put a record out, that would be in stores across the country. That's something we all really wanted to obtain. Even though we're the same guys and same band, and not a huge band, obviously were still very young in our career, but it helps out in more ways than one to have that label, especially one as validated as doghouse behind you. Do you work harder now or is it easier or just more fun? Honestly, I think a little of both. It's easier because like I said we have a great label helping us out, and is more fun because we get to tour year round and get more opportunities than ever. At the same time, we force ourselves to never get comfortable, because then we'll never get to the "next" level, not that I know what that is, but we want this to be a career that can support everything else we want to do, and were not there yet, so if were not working as hard as we possibly can, we don't deserve that, because someone else out there is working that hard. Your most recent EP came on December 15 entitled “Let’s Be Honest”. Is this just a sample of what’s to come? On the EP we wanted to have something that we felt like was the status that people would expect, something that was somewhat continuing on from our album, at the same time were writing a lot and are always trying new things, so two of the songs we felt like were more in the direction we are going, which isn't drastically different or anything, but just more matured if nothing else. What was the thought process on the title of that album, "So this is Progress"? When I first read the title, I actually chuckled, because I’m sort of sarcastic in a lot of ways myself and it felt very much like a sarcastic remark. Ha-ha yeah, I think that song was the last to be written and it does have a bit of a sarcastic tone which fits us well too, we felt like that was the song we wanted to push the most online and through touring so we just ended up calling the EP that. I saw that your tour listing was posted on your MySpace page and, man! Twenty-three venues in less than two months! Wow, are you looking forward to a long tour? Yeah! We are constantly adding dates too. We are definitely ready and excited to hit the road, each year we've been able to add more and more dates, so we are stoked to start the year off so strong. Coming out of the winter is always a fun time to tour, you get to see all the changes around the different parts of the country, we love that. Who does the writing for the songs? Are they based off of personal experiences? What can fans expect from The Status in 2010? Even more touring than last year and hopefully beginning work on our 2nd record!